We've just been notified that there are people claiming to work for us and raising funds using our name. PLEASE do not entertain their story, we do not support these people as they are not our authorized representatives. 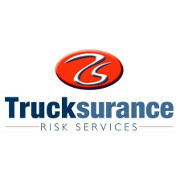 If anyone is able to send us a copy of the paperwork they are using and a photograph of the person (at this stage we believe they are operating in the Monte Casino area) we would be grateful. The Care Bear Project is a community initiative uplifting local rural communities, by providing employment and much-needed income for the families, and by using the product of their work, the bears, as a means of bringing joy to the children in these communities - many of whom have never received a new toy in their lives. 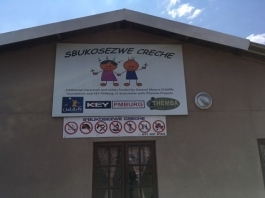 We are a fully constituted and registered Non-profit organisation. 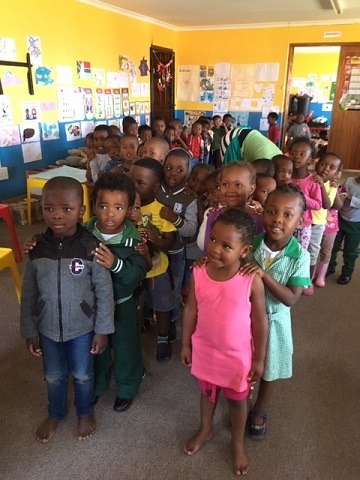 All donations qualify for S18A tax certificates and companies are also able to earn BBBEE and CSI points as all our beneficiaries are black South Africans. 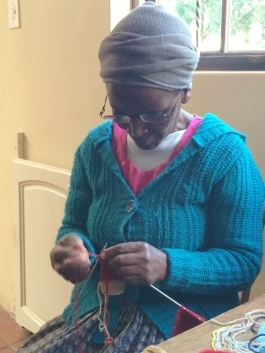 Our knitters are all black women, predominantly pensioners, who are most often the mainstay of the family. 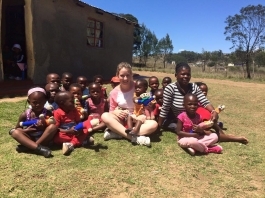 These grandparents have all too often lost their own children to AIDS, and now find themselves supporting grandchildren. 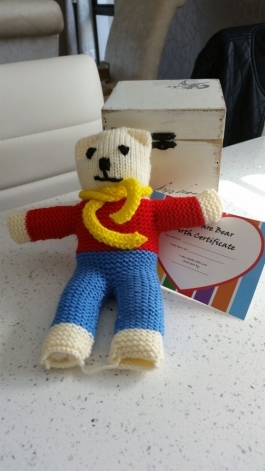 One of the significant advantages of The Care Bear Project is that there are no costs invloved to the knitters as we give them the full knitting kit, and they knit at home in their own time so there are no transport costs. 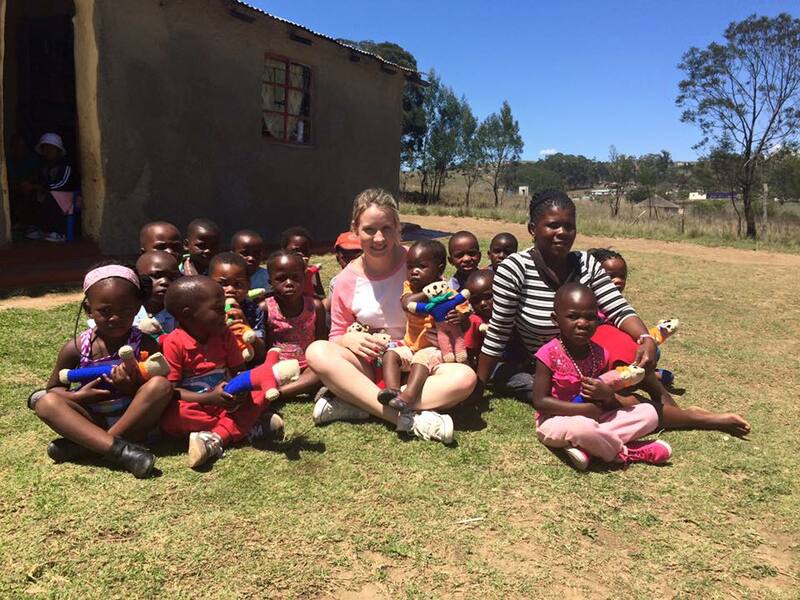 They are still then able to look after the children and run their households. 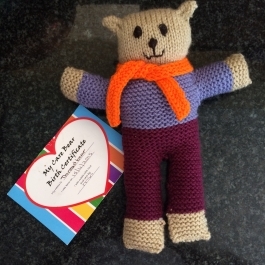 Interested in sponsoring a Care Bear? 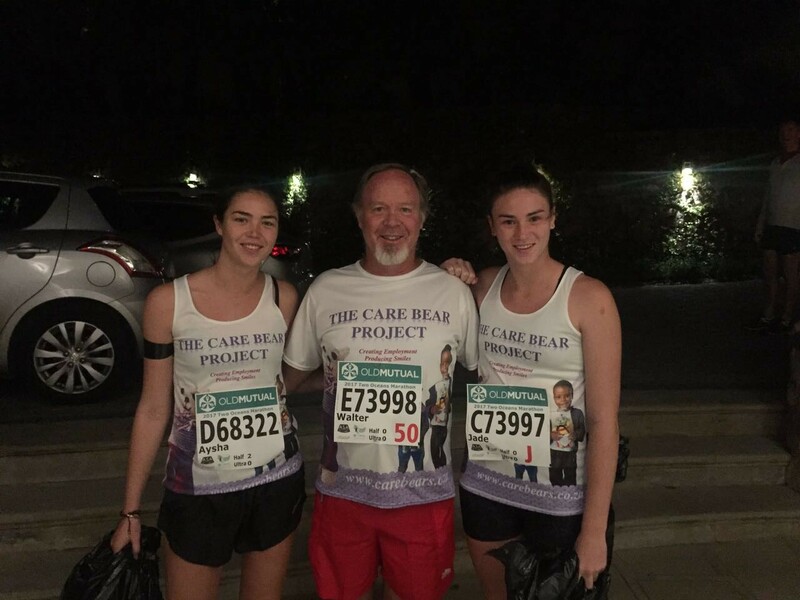 https://www.facebook.com/thecarebearfoundation - Join our Facebook page for regular updates and photographs of our achievements, and please share our posts to create awareness of the project. 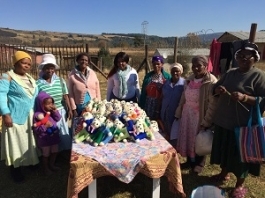 - Should you have a community you would like to support with employment and income, you provide the sponsorship and we will assist by training the ladies to knit and establishing the group. 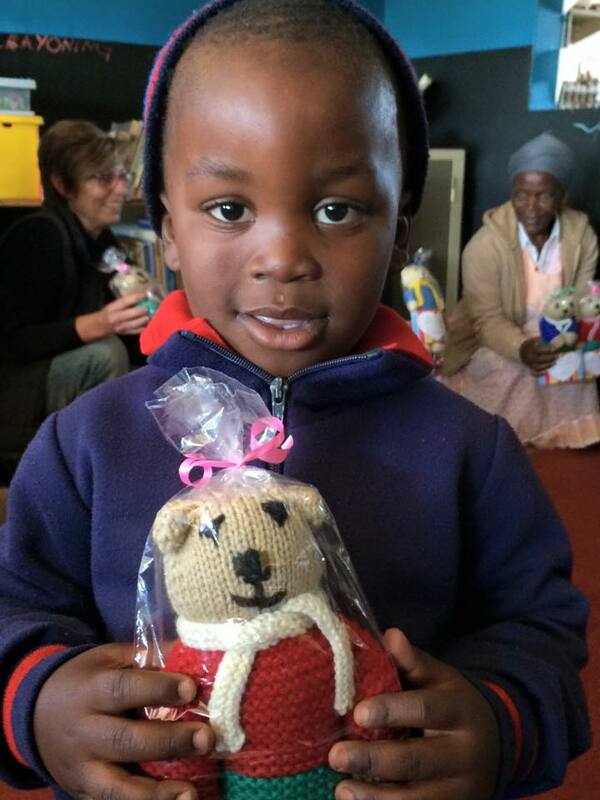 All our knitters are required to have a South African ID and a valid bank account. 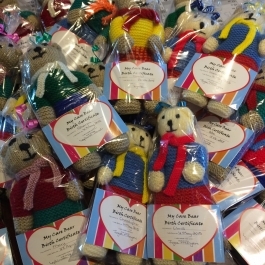 You can then either nominate the organisations which will receive the bears, or we will distribute these on your behalf. Criminals claiming to work for us and raising funds using our name! Please read! 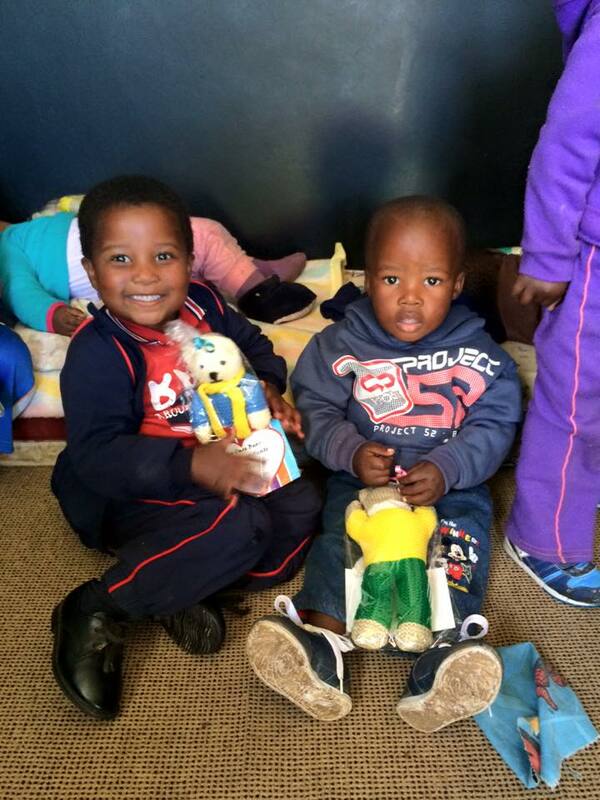 We are THRILLED to have been selected as an official beneficiary of funding from the N3TC Touching Lives Initiative! 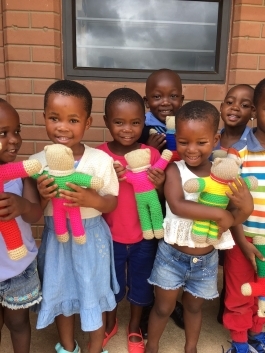 It has been an answer to our main challenge which is to find funding to be able to commit to our knitters on a regular, monthly basis. 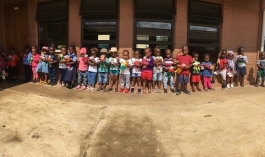 So the next time you travel on the N3 and pay your toll fees, give the N3TC a huge thumbs-up and smile, knowing they are making a difference to the lives of the people who live in and around the N3. 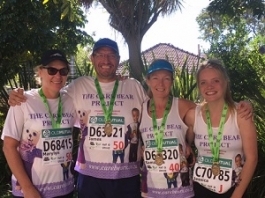 Our Two Oceans Half Marathon runners did us proud! 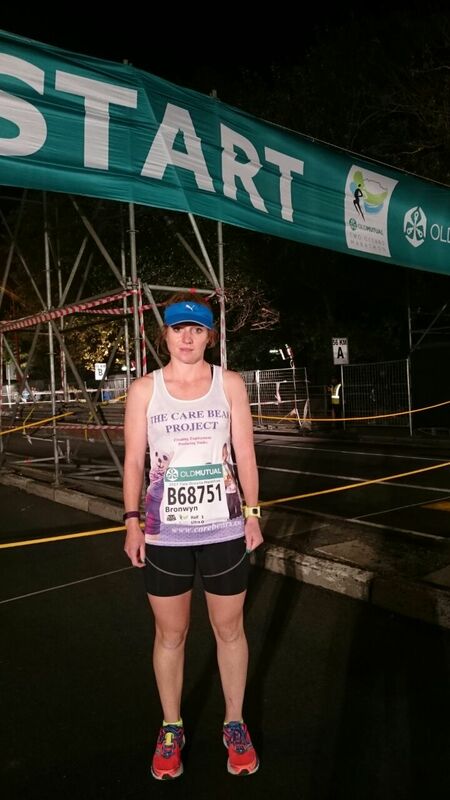 10 runners for the Two Oceans Marathon Initiative set off at a chilly start in Cape Town last week. 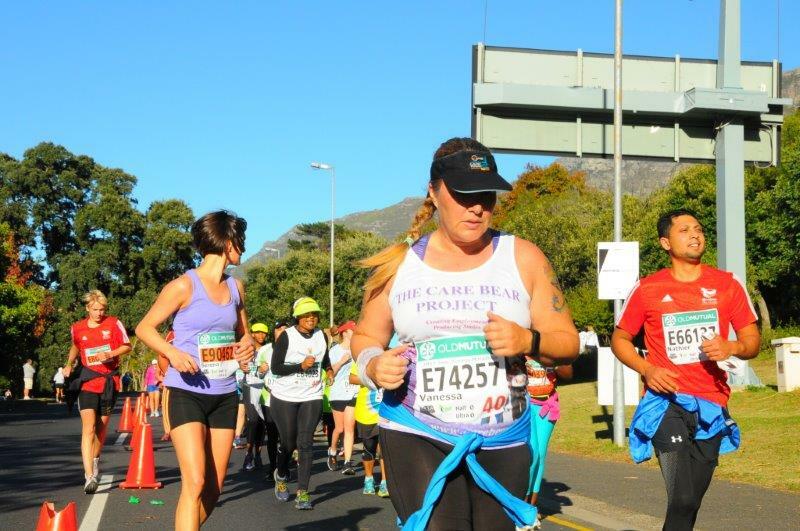 The weather proved to be perfect for running, and the crowd support along the way was incredible. 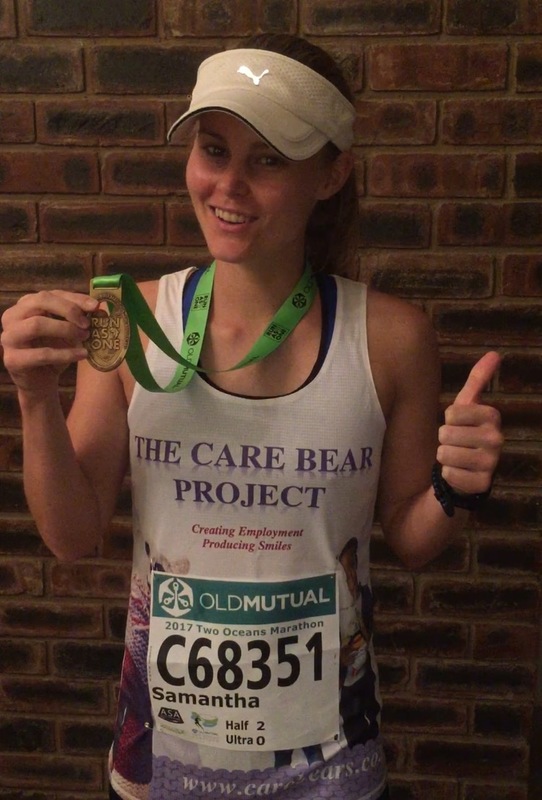 Samantha Beukes was our first runner home in a personal best time of 1:51 - well done Sam!!! 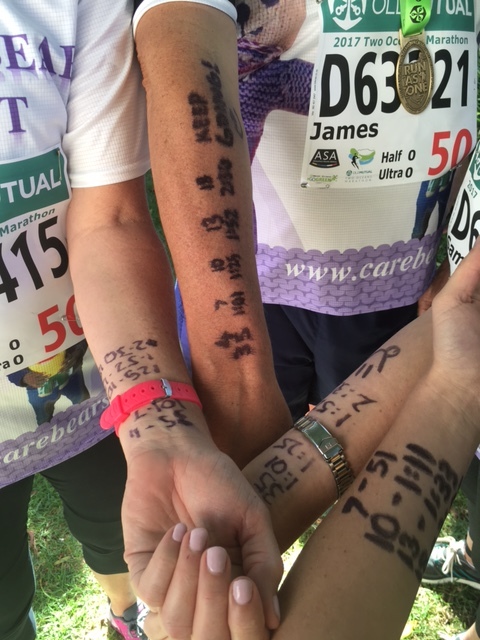 Thank you to our runners for your support, we hope to have you on board again next year. 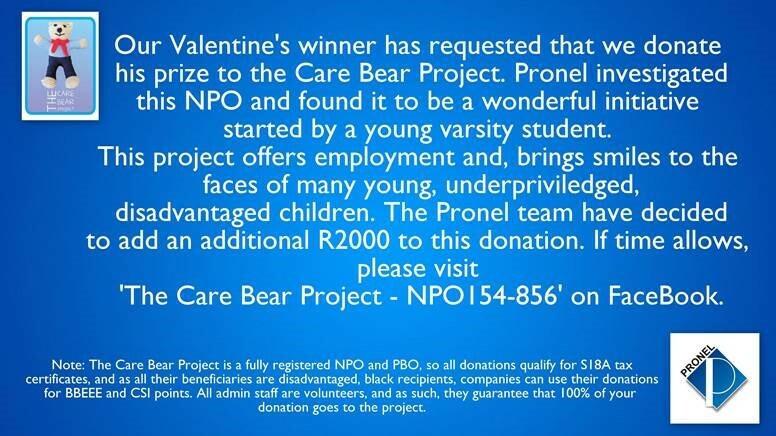 Pronel made a wonderful donation to The Care Bear Project following their successful Valentines Day competition - thank you Bridget! 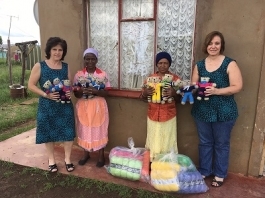 The Care Bear Project teamed up with Lindy and Robyn from First National Bank last week, proudly receiving a wonderful donation of wool for our knitters. 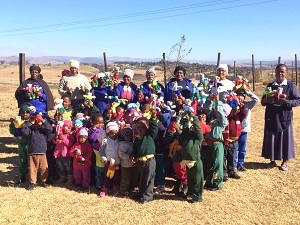 We then distributed 100 bears to the children of Simcelesile Education Centre in Lidgetton. 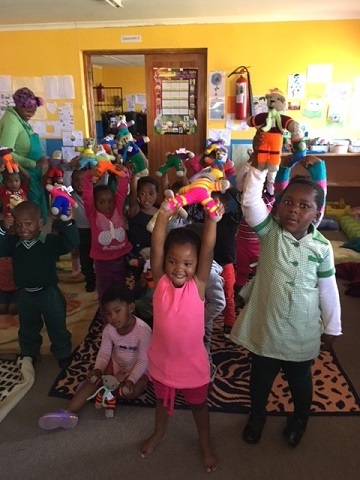 Thank you FNB for your generous support of our project - we hope you had a fun morning with us! 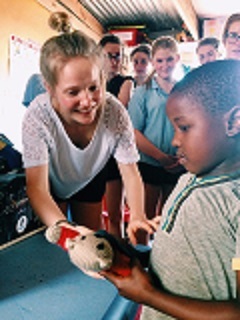 The girls of St Anne's Diocesan College were out and about just before Christmas distrbuting 40 bears to the children of Umusa Wenkosi Creche - happy smiles all round! This month we introduce you to Thobile Mnikathi. 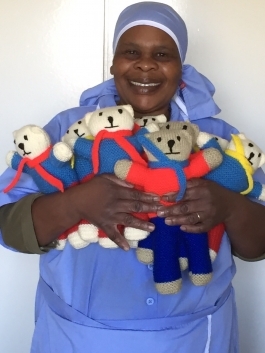 She has been with the project since last year, and from a very rough beginner, Thobile is now producing the most beautiful striped bears with enormous character. 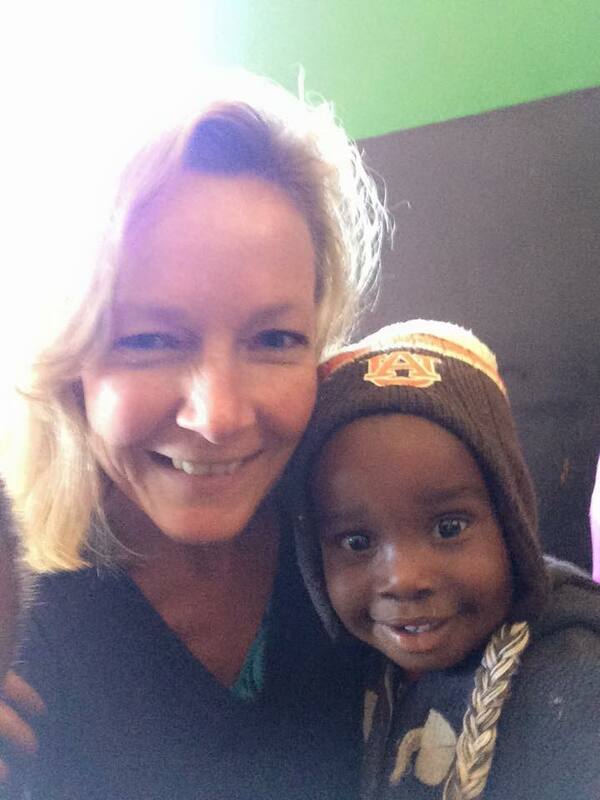 Her story will dig into your heart, and if you are able to assist us with sponsorship for her very special little boy, we would be so grateful. 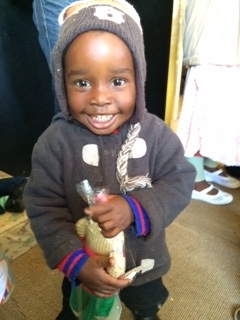 Thobile’s son developed a brain clot at the age of 2 and a half, stopped walking and talking and was completely disabled. 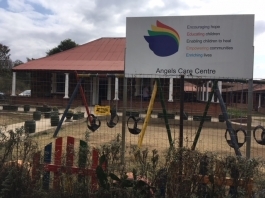 Doctors believe that he may have been dropped or injured at his crèche. 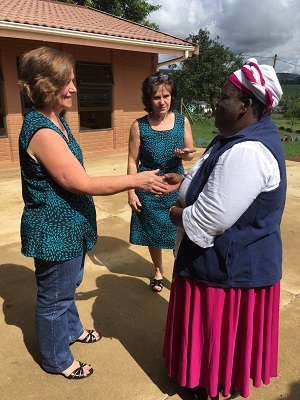 At the time, Thobile had a full-time job as a medical carer in a frail care facility in Howick. 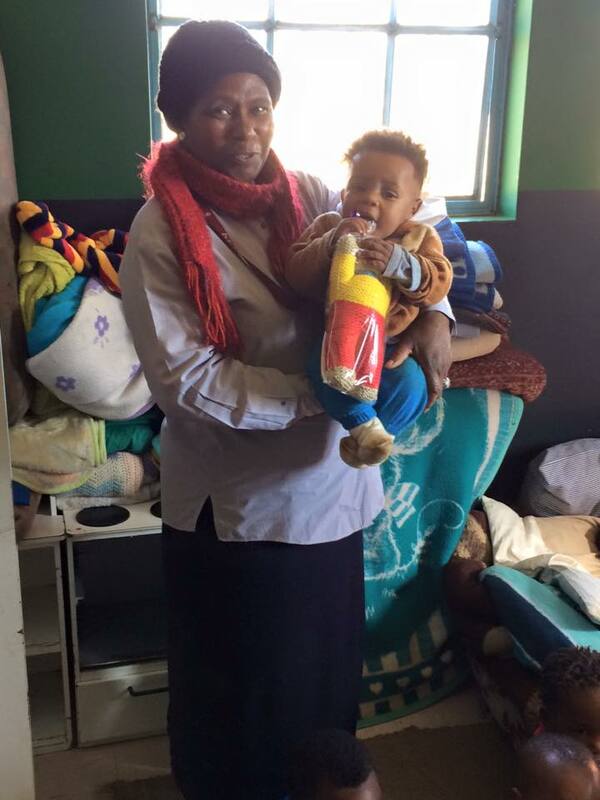 It has taken Thobile 4 years of trying to get through the government medical system, having had to give up her full-time job to spend the time with her son at many clinics and hospitals, before he was eventually operated on this year. The operation appears to have been a partial success as he is now starting to talk and move again, but there is a very long road ahead, and absolutely no indication that he will ever recover fully. 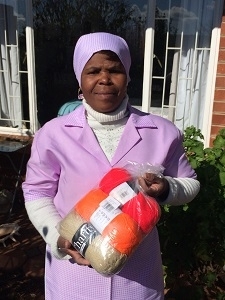 Thobile is currently working 3 part-time jobs as a domestic worker to earn an income to support herself and her son, to pay for his care and medical expenses which are not covered by the minimal disability grant that she receives, as well as put her daughter through university. 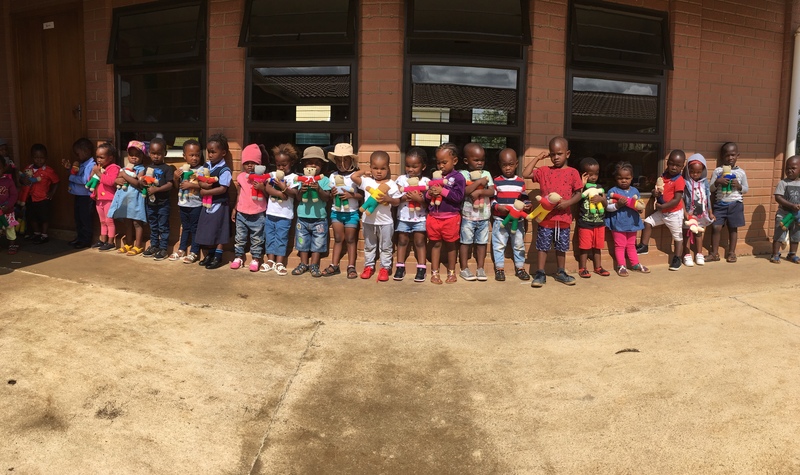 56 bright and happy bears were given new homes with the children from The Pietermaritzburg Children's Home last week. 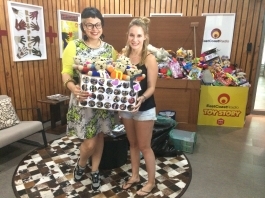 Jess and Jade handed over the bears in their new boxes. 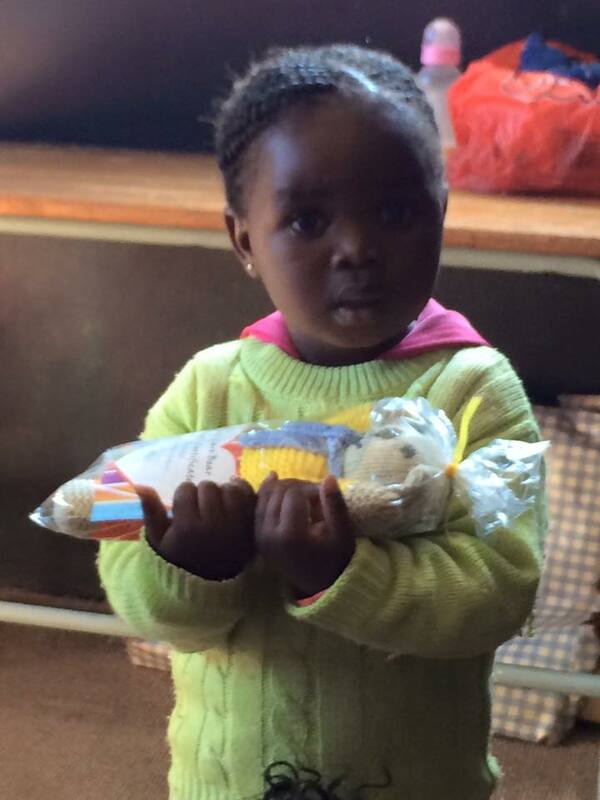 This month we introduce you to Liphina Zondi. 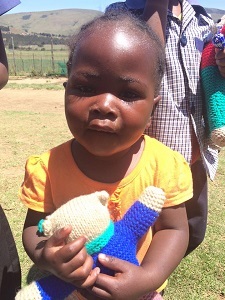 Liphina was the very first knitter to join our project and helped us to pioneer our first Care Bear. 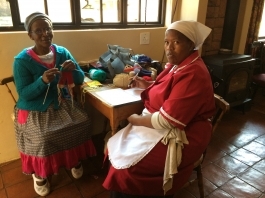 She has responsible for getting together our first community of knitters in the Lidgetton area and is our foremost champion knitter! 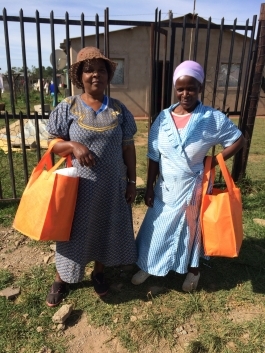 Liphina is a dedicated mother as well as grandmother, providing not only for her children but also her three grandchildren. 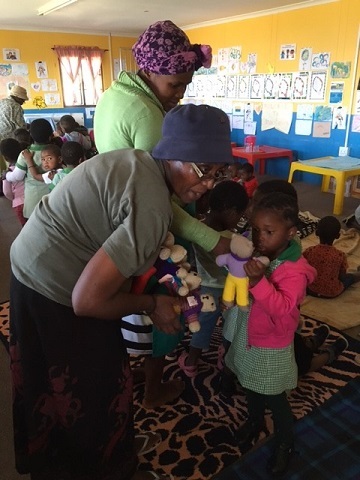 As with many families, Liphina lost her son a number of years ago and now is the sole support and carer to this grandson, as well as caring for her daughter’s two children at home, while supporting her daughter through nursing school. Liphina has only her government pension to support all six of them each month. 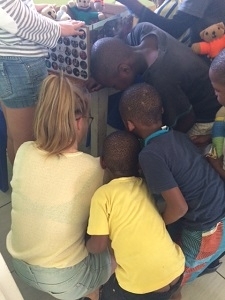 Talking to Liphina, we learnt that her house is rapidly deteriorating due to rainwater, to the point where she has plastic bags stuffed in the gaps between the doorframe and the wall, and around the windows. 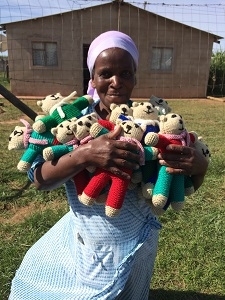 Liphina saves her money from The Care Bear Project in the hopes of building a veranda to prevent the water from seeping around and under the door and in the sides of the windows, so that her house can continue to be a home to herself, her children and grandchildren. 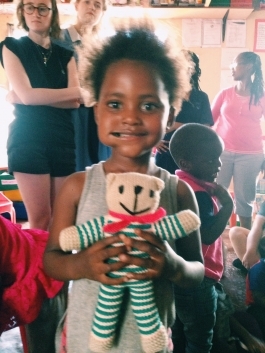 We had a very successful teddy drop at the Crèche at Nyamvubu, meeting Zanele and the children she looks after. 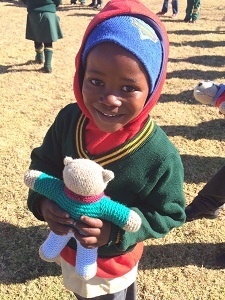 There were beaming smiles as each child was given their own bear, many of which have probably never had their own teddy before. 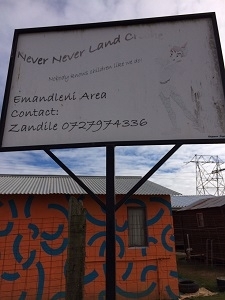 The Care Bear Project goes to Cedara to visit the Never Never Land Creache in Cedara. 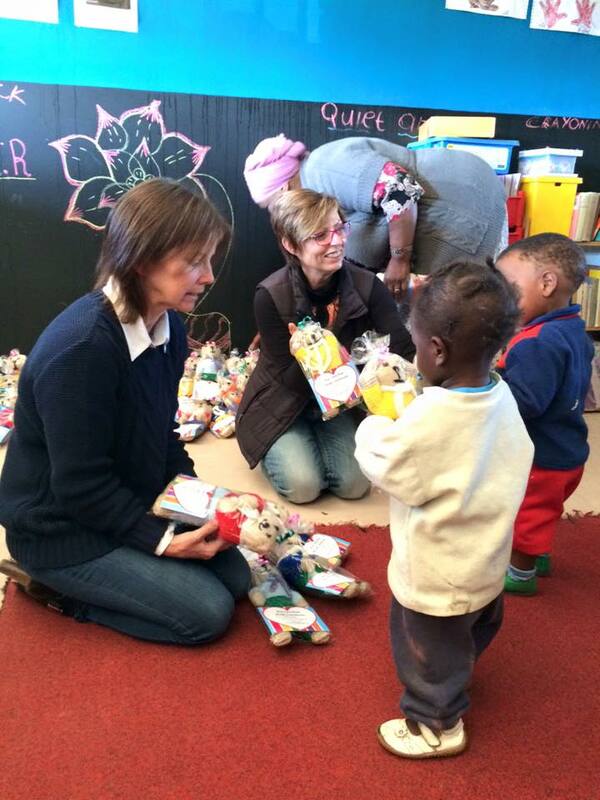 The Care Bear Project was privileged to meet Zandile and her team at Never Never Land Creche in Cedara today. 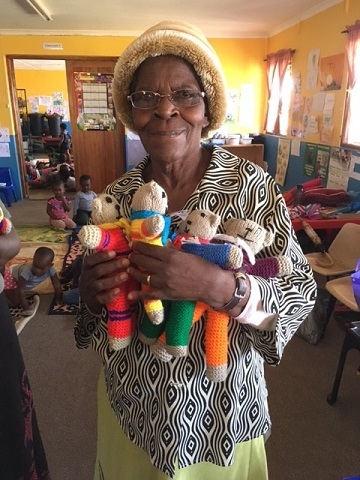 Not only did we bring smiles to 57 children with our bears, we also recruited some enthusiastic new knitters among the grannies who are helping out at the school. 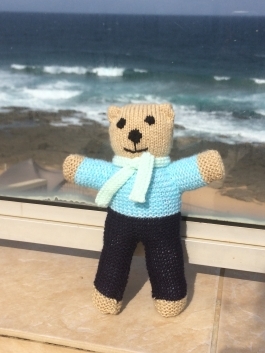 The Care Bear Project is committed to empowering our communities through providing meaningful financial assistance to our knitters, and then using the product of their efforts, the bears, to brighten the lives of the children. 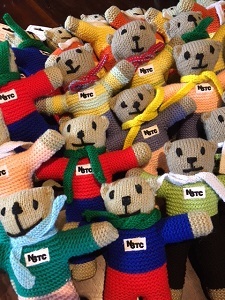 69 Bears in one Week! 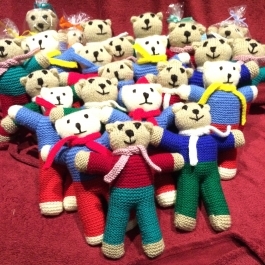 Our ever productive Lidgetton Ladies produced 69 bears this week! 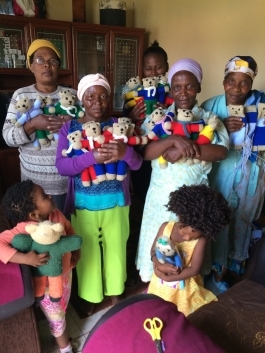 Our Lidgetton ladies have been hard at work - 69 bears were collected on Friday. That means almost R3500 that The Care Bear Project has paid to this community this week! 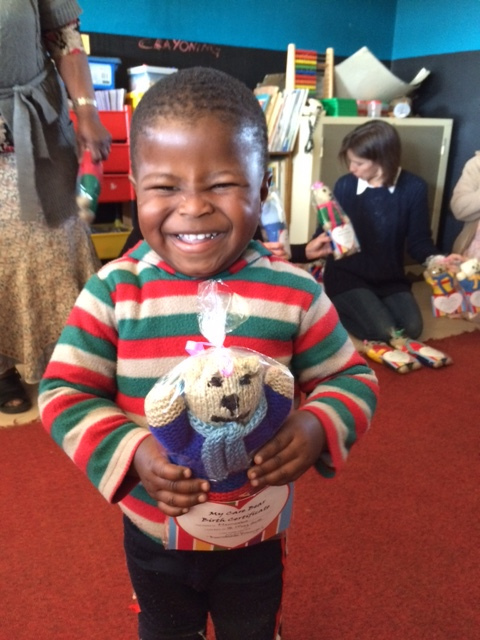 Our Very First Teddy Bear Drop! 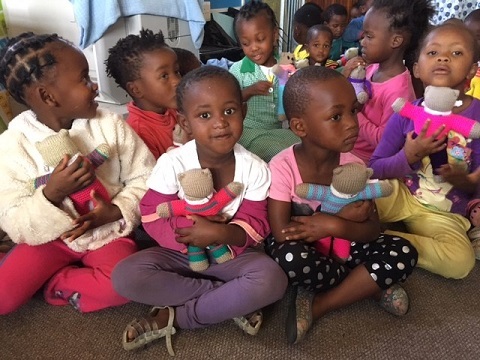 Such an exciting day today as The Care Bear Project made its first "Teddy Drop" - 110 bears to the Lidgetton Community Creche. 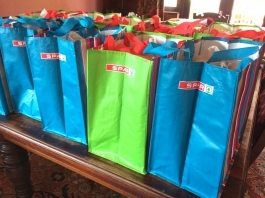 A morning of very excited children! 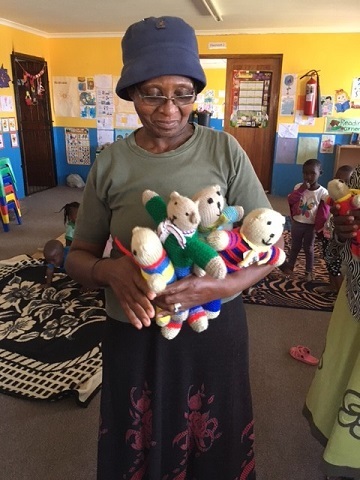 Thank you to Lephinah and Martha, two of our community knitters, and to Lynne and Nicky, founder members, for helping to hand out the bears.